Thank you for your article, it filled in a very important piece of the puzzle for us. Being able to read along on the Kindle while we listen to the book on a PC has proven invaluable in bringing my wife’s latest book to life. From MS Word to Kindle in less time than it takes to boil an egg!!!! I absolutely love this little jewel I came across today! So simple to use.Thank you! Fantastic, up-to-date article! Thank you! I’ve been doing this for years as a small publisher, and yet, I still read up on it. This is brilliant. You’ve made my work so much easier with this. I’ve published a few books in ebook form and in the past I just submitted the Word document – formatted with Style boxes and careful spacing, and saved as html – and it looks fine, at least on my Kindle and tablet. This time I thought I’d experiment with Calibre, which is very easy to use but played around with my indents – placing them far across the page rather than using the 1cm indent. I then tried Draft2Digital and again, very easy to use but apart from centring the chapter titles (which I didn’t want), their indents and spacing are also weird. For example they removed the spacing between chapters in my chapter notes for some reason. I also have a few ‘Part One/Two/Three’ etc which I formatted in style box large and centred, and they come out tiny and left aligned. I guess I will either have to learn html or stick to what I’ve done in the past, but it is frustrating. That said, your website is fantastic, one of the most useful out there, for which I am HUGELY grateful. Thank you great and informative. I have never seen a program that is such a frustrating piece of crap. Theoretically it is DESIGNED to convert a program in WORD to one of three formats that will work on a Kindle. I have tried converting DOCX, RTF and PDF to EPUB, MOBI and AZW3 and the results are worse each time. It started by not carrying over the quotation marks and apostrophes. Now it fills my manuscript with random letters and symbols that I could not possibly find and replace without making it even more insane. I am not converting a manuscript in Egyptian hieroglyphics. I am using the English language with all the common letters and symbols that Calibre is obviously not designed to use. The instruction above says “Edit Metadata”. Seriously? I spent 2 years writing my novel and now I have to spend another 2 correcting the deficiencies in this program where, incidentally, the instructions give no idea what needs to be done. No thanks. I am done, I am out. Goodbye. The errors you describe are the result of a Word file that has a lot of erroneous code, and not a problem with Calibre. This can be the result of working on a file, such as a book manuscript, over a long period of time. The easy solution is to clean your Word file. Convert to plain text, and then copy back into a new, clean Word document. Also, Word files created by exporting from Google Docs or Apple Pages can also have a lot of background code. Check by saving in html to find any errors. Got to love how people get so self entitled about something that is free. You mean beggars can’t be choosers? I think we’re entitled to be critical of things, even when they are free. I mean , what do you want for nothing? All people seem to do is abuse those who selflessly give to communities and act as though they are entitled to everything for free. If you feel so strongly about someone needing to create what you want, then feel free to teach yourself how to programme and develop it. Transferring a Word (or any other word processing file) to text, called The Nuclear Option in some places, is an insane maneuver that undoes 40 years of progress. You lose all font formatting, paragraphs, indents and you might as well have written your manuscript in “ed” or “vi”. Then you have to redo the entire manuscript, comparing it to a formatted version to put back italics, or underlines or bold, or special fonts. If that’s the solution, then the whole process isn’t worth doing. If there isn’t a more reliable way, then someone needs to create one. Unfortunately, the nuclear option is often necessary, Marc. This is because Word was not designed to produce ebooks; only printable documents. In fact, your mention of 40 years of progress is apt, because Word is old now. 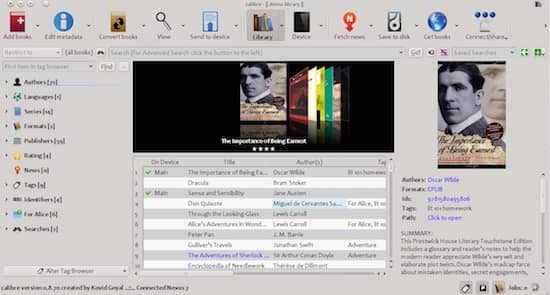 There are very good programs available for writing books and ebooks, such as Scrivener, but they can be expensive, so Word is usually the choice for authors. But it is certainly not perfect. If you save your Word file as .rtf – i.e. Rich Text Format – instead of straight .txt, it will retain things like Bold, Italics etc, but it will lose all the horrible extra stuff Word adds. This is particularly true if you have used Track Changes on your document. I discovered this the hard way the first time I submitted a manuscript to an editor who used Track Changes on it. Another tip is to use Word Styles for everything instead of using the manual formatting. It just comes out ‘cleaner’. I had similar problem. Problem was the “curly smart quotes” and apostrophes which html doesn’t accept. I uploaded book I thought was fine and !!!!!!!!. Had to immediately remove. To change, set options in Word to old-style apostrophes and quotes. To change, do a FIND and REPLACE using the appropriate ASCII code to find and an old style quote or apostrophe to replace. Make sure you changed options before starting! Future problems were prevented by making sure option for old style quotes (vertical stabs, same for opening and closing quotes, NOT curly style!). I’m surprised I haven’t heard more about this, or maybe I was the only one out there that didn’t know this stuff…. When I convert my docx files to mobi it adds a number to the headings (a number list bullet point) and puts a page gap between the heading and the text. I can’t figure out why. There is no issue when uploading to kdp or when converting to epub. Do you know how I can fix this? Hi Bert. KDP strips a lot of stuff when it converts, but Calibre doesn’t. This is why you see these formatting problems. It’s a good clue that your Word file has a few issues that could affect epub and mobi. The solution is to copy all of your text into Notepad (PC) or TextEdit (Mac) and convert to plain text. Then copy the plain text into a new Word document and re-apply your formatting. Then run your new Word file through Calibre. Hmm… I was afraid you were going to say that. Thanks for your answer though. I know it’s a real a pain, Bert. But I always do this to any new ebook I am going to publish to make sure it will be as perfect as possible for all retailers and formats. And thanks for reminding me to add a link to this article about how to take the nuclear solution. My books are very image heavy. I dread having to re-insert them all. But I just realized I can download the mobi preview version from my KDP dashboard. When I load that into calibre its perfect. Yes, good shortcut! :) You could also try to convert your mobi file to epub in Calibre to see if it produces a clean ebook for publishing on other platforms. My original docx converts cleanly to Epub, but just for curiosity’s sake, I did the convert from Mobi to Epub also. It’s good. I HATE WORD. I put that first for all the people who will not read any further. 1. Replace typed in character with the same typed in character. Nothing works, after Replace often finds as few as 53 characters, in a 50,000 word document. I’ve even tried replacing the incorrect character with a third character, like “*” and then replacing that with the correct character. The ONLY thing that works to go to each incorrect punctuation mark, manually deleting it and then typing in the new one. That is a LOT of punctuation to retype one at a time..
It’s like Word cannot tell the difference between the incorrect character and the correct one. Before I settle into virtually retyping my novel one punctuation mark at a time, can anyone suggest a valid solution? Before I’m told, I have already tried copying to, or saving as text, rtf and html with no valid result. I sympathise with you, Marc. Word is hopeless at find and replace for punctuation. One of my old manuscripts had single quotation marks, and when I tried to replace with double, every apostrophe became a double quotation mark. Worse, all the quotation marks were opening and not open and close. My solution was the same as yours. Retype every single one. Sorry, I can’t give you a better solution. My manuscript is correctly formatted in MS Word. But Calibre has ignored the font selection. I have .jpg images placed as ‘Insert > Picture’, which are distorted in Calibre ebook view. Indents in the Word generated TOC are also ignored after the second level. How do I fix these problems? On the plus side, Calibre picked up the Properties in Word to fill in the meta data. Okay, Aparna. First of all, ebooks don’t use fonts. Fonts are selected by the reader. You can only format text to bold, italic, underlined etc. Use a standard font such as Times New Roman. For images see this article. https://justpublishingadvice.com/how-to-add-images-to-an-ebook/ It is important to set your image In Line With Text. As for TOC, use H1 headings for chapters and Calibre will create your TOC automatically. Well, I solved the problem, to a certain degree. At least enough to satisfy my “90/10 Rule” (if you can fix 90% of the problem the easy way, then the 10% you have to do the hard way isn’t too bad). I thought that my problem was the incorrect conversions happened when the text was sent to the Kindle, but I found that they were in the docx file as well. For example, a search (Ctl-F) for the equal sign (‘=’) would also find the incorrect apostrophes that showed up in the Kindle as an equal sign (i.e. don=t). So I could do a Search/Replace (Ctl-H) and change all equal signs to the correct apostrophe. Fortunately there is no math is my manuscript. The same was true of the incorrect closing quotation mark by searching for the AT sign (“@”) which I could change all at once. The difficult one was the open quotation mark which changed to a capital A. I could search for the capital A but would find both the incorrect open quotation mark and the correct use of the capital A. This one I had to do one at a time. If the search found what appeared to be an open quotation mark I pressed “Replace” and if it was the capital A (such as “Atlanta”) I would pressed “Find Next”. I was trying to do it fast so sometimes I pressed the wrong command, changing “Always” to “lways. There weren’t many of these and the SpellChecker found most of them, which I could correct manually. In any case the corrections were a lot easier than I thought that would be since I wouldn’t have to change each one manually. Tried to use Calibre for editing to edit a epub document but is only useful for short documents, i.e. a few pages. I found the best way is to use Libre Office, no I am not advertising the software but you cam save to E Pub straight from word both doc and docx formats. Libre Office will open up MS Office files direct. Tried various other Office programmes but are not as good. 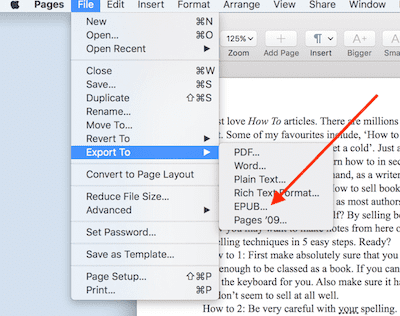 You cannot edit the epub document in Libre Office but it does a good job converting it. Once converted it opens up in Calibres e read screen. Thank you for this article! Super easy to follow your instructions! Hi: This very useful article made the uploading of a Mobi file easy. Just one question. Once you have the book, how can you send it to a Kindle file. I can’t find anyplace on the completed e-book. I like to furnish Mobis to book reviewers. All you need to do is locate your book’s mobi file in your Calibre library, and then you can send it via email. You can’t add pdf to an ebook. Change to a jpeg or png file.